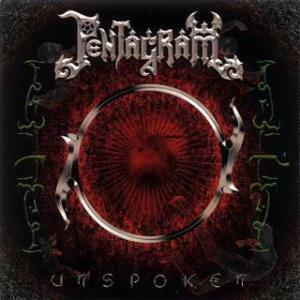 Around the time ‘Unspoken’ was released, Pentagram must have realized that there was a demand for their Turkish language songs, which the album lacked. So a year after that album, the band released ‘Bir’, a collection consisting entirely of songs in Turkish lyrics or without any lyrics at all. This also marked the shortest break between two albums in the band’s history. And while the traditional Turkish flair that makes the band so unique wasn’t entirely absent on ‘Unspoken’, it is featured significantly more prominently on ‘Bir’, albeit not in the overwhelming, over-emphasized manner that bands with similar influences often employ. If there should be any criticism about ‘Bir’, it’s the fact that it should have been an EP. The two instrumental tracks ‘Mezarkabul’ and ‘For Those Who Died Alone’ are exactly the same as the versions on ‘Unspoken’ and are probably only there for conceptual reasons. They’re fine tracks as they are for sure, but that only leaves the listener with about half an hour of new music. The good news is that every single one of those minutes is excellent music and many of the songs featured on ‘Bir’ are still staples in Pentagram’s live set to this day. Starting with the diptych of the instrumental intro ‘Tigris’ and the title track, a downright fantastic, upbeat heavy metal track calling for unity. This song is bound to drive a Turkish heavy metal crowd crazy and it’s easy to see why: its message, its catchy chorus and its simple, but brutally effective riffing is designed for a communal feeling. The thrashy ‘Bu Alemi Gören Sensin’ – which features guitarist Hakan Utangaç on lead vocals instead of the more soaring Murat İlkan – and ‘Şeytan Bunun Neresinde’ – which sounds like Metallica after a holiday to Turkey – feature traditional Turkish poems set to brand new music, something which works better than it may sound. Less well known is ‘Sır’ and while it did take a while before the song grew on me, it is a monster of a slower metal track that manages to have both a symphonic and a somewhat industrial feel at the same time. It doesn’t quite sound like anything Pentagram has done before or since, but fits the darker vibe of the second half of ‘Bir’ really well. That vibe is further emphasized by the brilliantly brooding ‘Ölümlü’, which features what is quite likely İlkan’s most “evil” sounding performance ever in its verses. While it may be intimidating to buy an album with four instrumental tracks of which the longest two have been previously released, ‘Bir’ is still a very worthy addition to any metal collection. For one because it emphasizes Pentagram’s unique, yet familiar style and it solidifies the band’s status in their home country, where they are viewed as the number one metal band. It’s easy to see why: the guys are excellent songwriters and will never let flashy instrumental egos get in the way of a good melody and a memorable chorus. You’re guaranteed to have them stuck in your head even if you don’t speak a single word of Turkish. Pentagram’s second album with the excellent singer Murat İlkan was the last one that was released internationally, albeit under the band name Mezarkabul outside of Turkey to avoid confusion with the American Doom Metal band Pentagram. The fact that the record contained songs in English exclusively raises the suspicion that the band was still aiming for the international market, but luckily, the Middle-Eastern scales and slight Folk leanings – emphasizsed by the ney playing courtesy of session musician İlhan Baruçu – are still present in Pentagram’s well-written, mostly midtempo Heavy Metal. ‘Unspoken’ is not too complex, yet has a depth many bands in the genre should envy. While the record isn’t quite as adventurous as its direct predecessor ‘Anatolia’, ‘Unspoken’ does a good job consolidating Pentagram’s style. Up until this point, the band was searching for their comfort zone, incorporating elements of Heavy Metal, Thrash Metal, Power Metal and even some progressive touches. Here, the band really found its style. The tempo is never really high, but that gives the melodies and İlkan – Turkey’s Bruce Dickinson – all the room they need to shine. The aggression is mainly limited to Hakan Utangaç’s incredibly crunchy rhythm guitar, but since the songs are so strong, that really isn’t a problem. If there ever was a true opening salvo on a Pentagram record, it’s here. After the excellent intro ‘We Come From Nowhere’, ‘In Esîr Like An Eagle’ is probably the ultimate opening track the band ever recorded. Epic Heavy Metal to the max with relatively simple, but brutally effective riffs and one of İlkan’s finest vocal performances to date. After the crushing heaviness of the title track, ‘Lions In A Cage’ is probably the most Middle-Eastern sounding song on the record and one of the highlights in Pentagram’s discography. ‘For The One Unchanging’ manages to be progressive and extremely passionate at the same time. The instrumental ‘Mezarkabul’ – which, like the outro ‘For Those Who Died Alone’, is good, but slightly too long – functions as sort of an act break, after which the slightly more experimental second half of the album follows. As a result, it’s somewhat less memorable, although the heartfelt ‘This Too Will Pass’ has a chorus that won’t leave your head. ‘Pain’ is probably the most Doomy track the Turks have ever recorded and ‘Puratu’ features a highly progressive middle section. 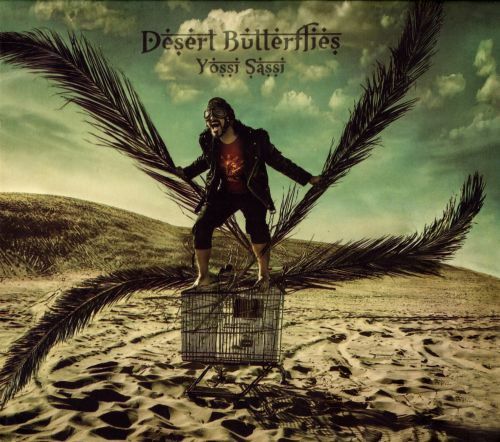 The guitar solos courtesy of Onur ‘Cat’ Pamukçu and Metin Türkcan – the latter of which joined as a fulltime member shortly after the album’s release – really stand out here. Regardless of what name graces the cover, anyone who comes across ‘Unspoken’ – or really anything the band released after the mid-nineties – should get it. Not many bands these days have as much character as Pentagram does and unlike many contemporary Metal bands, they don’t need an overload of intricate riffs or clashing styles to create a rich, interesting sound. And they’re not quite as highbrow about their cultural heritage as some other bands from the region are: the influence is there, it just blends with the Heavy Metal sound perfectly. Worth a listen for anyone bored with the uniformity of contemporary western Metal. Probably the most impressed I have ever been by an opening act was when I went to see Orphaned Land in 2011. The second band of the evening was this amazing Tunisian band called Myrath and I basically liked them as much as I liked Orphaned Land. I bought ‘Desert Call’ and ‘Tales Of The Sands’ immediately and have loved the band ever since. It’s been four and a half years since the latter came out, but there finally is a worthy follow-up to that brilliant record. ‘Legacy’ – the English translation of their name – is a fantastic work of Orientally tinged Metal. Style-wise, Myrath is located somewhere right in the middle of the grey area between Power Metal and progressive Metal, of which the respective border patrols are Kamelot and Symphony-X. What makes the band so unique though are the overtones of Ma’luf music. The beautiful Arabic string arrangements and – to a lesser extent – percussion are very much indebted to that form of traditional Tunisian music. 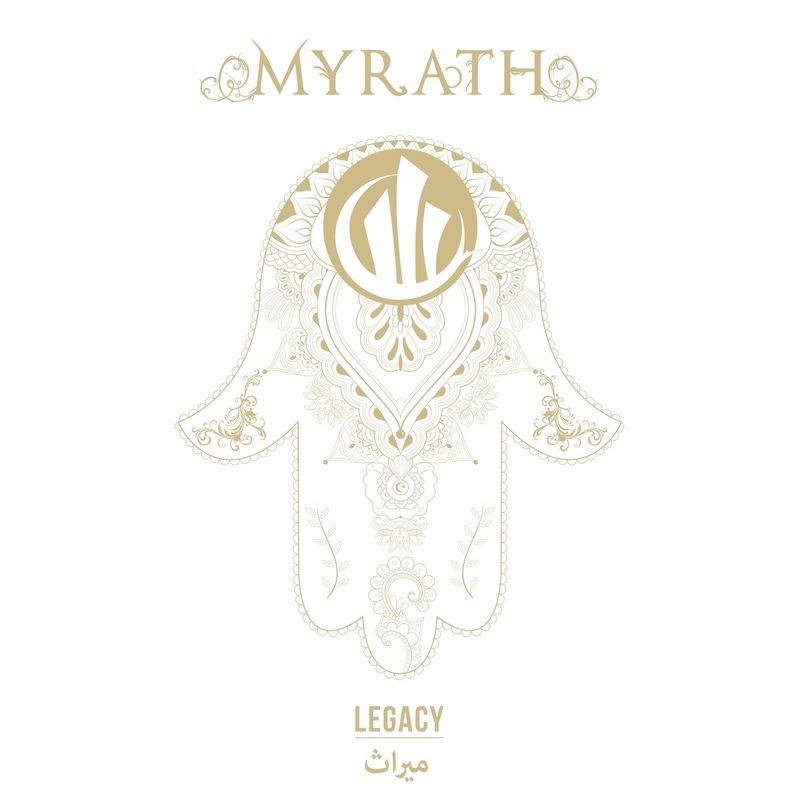 And because ‘Legacy’ is highly melodic – even moreso than Myrath’s past efforts – there’s quite some room for those amazing string arrangements alongside the riffy Power/Prog and brilliant, larger than life choruses. The increased melodicism doesn’t mean there’s no room for the heavy riff work normally associated with Progmetal; ‘The Unburnt’ and ‘The Needle’ could easily compete with any Prog giant -and win! – but Myrath obviously knows their strengths and makes sure they allow enough room for them. They know that their impeccable melodies don’t need a busy, claustrophobic bottom and when you have an unbelievable singer like Zaher Zorgati – who sounds like the Arabic cousin of Mats Levén and Roy Khan – you need to give him the freedom to excel. Each musician is extremely proficient at their instrument, they have just chosen to not let that get in the way of their amazing songwriting. Opening track ‘Believer’ was the first track to surface and it represents the album quite well; it’s upbeat, the riffs and strings are in perfect balance and the chorus is huge and infectious. Typical for Myrath is the positive, hopeful vibe that most of the songs have. The powerful ‘Through Your Eyes’ and the delightfully dynamic ‘Get Your Freedom Back’ are perfect examples. Having said that, the latter half of the album does contain a few songs that have a darker vibe, the best of which are the moving ‘Duat’, the melancholic and passionate ‘Nobody’s Lives’ (with a beautiful chorus in Arabic) and the excellent bonus track ‘Other Side’. While progressive Metal is stuck in a state where it isn’t all that progressive anymore – aping Dream Theater is not progressive – it’s always good to hear a band with a fresh take on the genre. I’ll admit: my weak spot for Arabic melodies does influence my opinion a little, but it’s a fact that Myrath consists of five amazing musicians who know how to write a great song. ‘Legacy’ is their third masterpiece – out of four, and debut album ‘Hope’ was quite good as well – and it should be heard by anyone. Now if you’ll excuse me, I’ll be off to Zoetermeer to see them open for Symphony X tonight! While Turkey’s Pentagram never was a band to release the same type of album twice, ‘Anatolia’ was a step forward from their first two efforts. With the arrival of Murat İlkan’s fantastic vocal range, the band shifted from Thrash Metal towards a mid-tempo, somewhat progressive Power Metal sound with a lot of room for influences from their native country. Being a big fan of oriental influences in Heavy Metal, ‘Anatolia’ completely blew my mind the first time I heard it, but even fans of somewhat more “casual” Power Metal should admit that this is a spectacular album. Part of what makes ‘Anatolia’ so amazing is the focus on the actual songs rather than speed, blazing leads and rolling double bass drums. There are still some hints of the sound heard on the first two albums (‘Welcome The End’, ‘On The Run’), but Hakan Utangaç’s and Demir Demirkan’s riffs on this album are closer to Candlemass than Slayer, the traditional Turkish instruments like the saz, the bendir and the ney were nowhere to be found on the earlier releases and there is a much stronger focus on melody than ever before, no doubt helped by the introduction of a singer who facilitates them to do so. Regardless of what label you would give Pentagram’s music, the songs speak for themselves. Though the entire hour the album lasts is nothing short of brilliant, there’s some songs that stand out. For instance, there’s the progressive masterpiece ‘Behind The Veil’, of which the opening riff suggests a Thrasher, but it eventually turns into a brilliantly sung, melodic track with a passionate chorus and some fantastic twists. ‘1000 In The Eastland’ is a dark semi-Thrasher and an anti-war statement. ‘Fall Of A Hero’ is a powerful, eighties USPM inspired semi-ballad, ‘Stand To Fall’ and ‘Give Me Something To Kill The Pain’ are somewhat more conventional Hardrock songs that make amazing use of multiple layers of vocals and ‘∞’ is a beautiful acoustic ballad sung in Turkish. Speaking of the Turkish language, ‘Anatolia’ is where Pentagram first started releasing tracks in Turkish and I tend to like those the most. Case in point: ‘Anatolia’ itself is presented in both English and Turkish here. When listening to it individually, I usually put on the Turkish version. Somehow I like that one better, though both versions are musically identical. Either way, it’s a brilliant song. Also, Pentagram covers the immensely populair Turkish traditional ‘Gündüz Gece’ here. A simply fantastic rendition of a beautiful song. ‘Anatolia’ is the album that made Pentagram (or Mezarkabul, if you want to be strict for any country outside of Turkey) the band they are today. It’s a spectacular, powerful and melodic Heavy Metal album with stellar vocals and a distinct oriental touch. This is a record that makes the best elements of east and west come together and as such is an incredibly enjoyable record. Seriously, you’ll have to hear it to believe it. The time that the best Metal bands were from the US, England, Germany and Scandinavia is over, taking a look at Israel and Turkey may be just as rewarding. Not every band can get through the process of replacing an iconic singer without any damage. When the amazing Murat İlkan sadly left the band, Turkey’s Pentagram did the right thing and replaced him with Gökalp Ergen, who has a completely different timbre. And that also grants the band the chance to take things in a slightly different direction. ‘MMXII’ is still instantly recognizable as Pentagram, albeit slightly more direct and less elaborate arrangement-wise than on their more progressive works with İlkan. ‘MMXII’ is first and foremost a Metal album. A good one. Pentagram style. Ergen is rawer in the more Metal passages and more akin to the better Turkish pop singers in the cleaner passages. This sounds like somewhat of a contradiction, but the band uses these extremes to great effect on this album. As much as I love İlkan’s powerful vocals, I wouldn’t hear him doing stuff like ‘Wasteland’ and parts of ‘Beyond Insanity’ as fierce as Ergen does them. Also, the softer regions of his voice work extremely well with the Turkish material on this album. I can’t, for instance, picture any better singer for a song like the melancholic ‘Geçmişin Yükü’. I have somehow always felt very attracted especially to the Turkish Pentagram songs and somehow, it does make a lot of sense with Ergen at the helm. ‘MMXII’ is a relatively heavy album by Pentagram standards. The guitars by Metin Türkcan and founding member Hakan Utangaç are heavy and crunchy and stuff like ‘Wasteland’, ‘Beyond Insanity’ and to a lesser extent opening track ‘Sand’ are probably the heaviest the band has done since the humble Thrash beginnings of the first two albums. This isn’t without a strong sense of melody, however. This album is best when the heavy riffs blend with the hypnotizing melodies. My favorite tracks are the more epic ones. ‘Doğmadan Önce’ has a brooding atmosphere and a beautiful chorus that could have only come from a Turkish band, and not only because the song is in Turkish. The acoustic intro to the song is downright spine chilling and there are some awesome twin guitar harmonies throughout the song. The killer guitar solos do the rest of the work. ‘It’s Dawn Again’ shows Ergen at his most passionate in the chorus, while being backed by riffs that seem easy, but leave a lot of room to impressive nuance. ‘Ápokalips’ is a killer, stomping epic, ‘Now And Nevermore’ has a great build-up and melodic sensibility and ‘Uzakta’ is a very strong Turkish Metal song with another great guitar solo. Why any European label has consistently refused to release Pentagram’s post ‘Unspoken’ output is beyond me. This is a band that doesn’t only rate among one of the best Oriental Metal bands, this is absolutely one of the greatest bands on the planet at the moment. 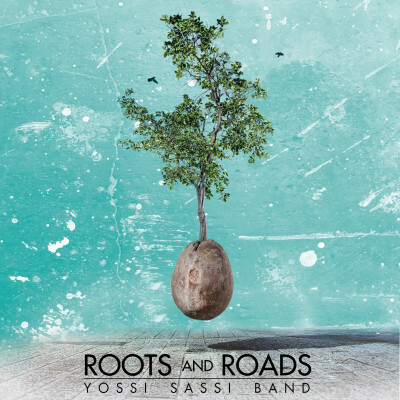 They have strong songs, a great singer, extremely capable musicians and a unique sound influenced by their home ground. Many bands try and emulate the oriental sounds within their Metal framework, but the guys in Pentagram live and breathe these melodies. They never forget they’re a Metal band, however. Now go out and see if you can find ‘MMXII’ somewhere. Like the rest of Pentagram’s discography, it’s worth the effort.